NYC, 02/21/2019, 7:00PM. Violence: Humans in Dark Times. Through a series of penetrating conversations originally published in The New York Times and The Los Angeles Review of Books, Brad Evans and Natasha Lennard talk with a wide range of cutting edge thinkers--including Oliver Stone, Simon Critchley, and Elaine Scarry--to explore the problem of violence in everyday life, politics, culture, media, language, memory, and the environment. "To bring out the best of us," writes Evans, "we have to confront the worst of what humans are capable of doing to one another. 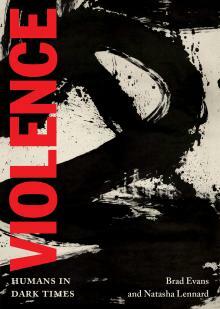 In short, there is a need to confront the intolerable realities of violence in this world."